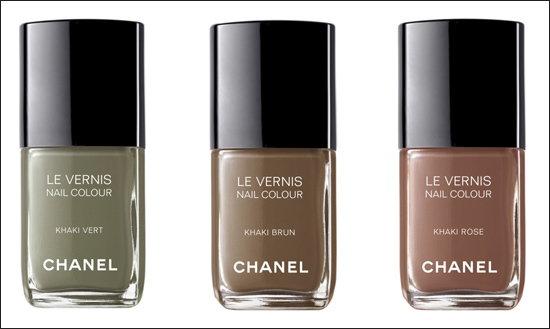 In celebration of Vogue’s Fashion’s Night Out, Peter Philips, Global Creative Director of CHANEL Makeup, has created LES KHAKIS DE CHANEL, a collection of three Le Vernis Nail Colours. Khaki Rose, Khaki Brun and Khaki Vert are three shades that can be worn alone or combined for an urban chic camouflage effect. 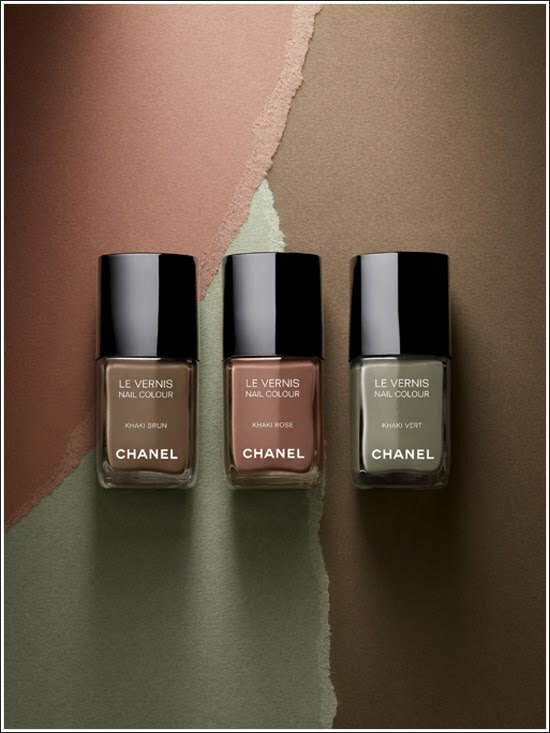 Les Khakis de Chanel will be available for $25 per bottle in Chanel boutiques, on Chanel.com and in select department stores.